Dothistroma needle blight afflicts some of the pine species commonly planted in Kentucky landscapes, particularly Austrian and Mugo pines. This disease results in brown needles, which may or may not drop from branches, and unsightly trees. This fact sheet covers symptoms, cause, disease development, and management options. Color images are provided as an aid to diagnosis. 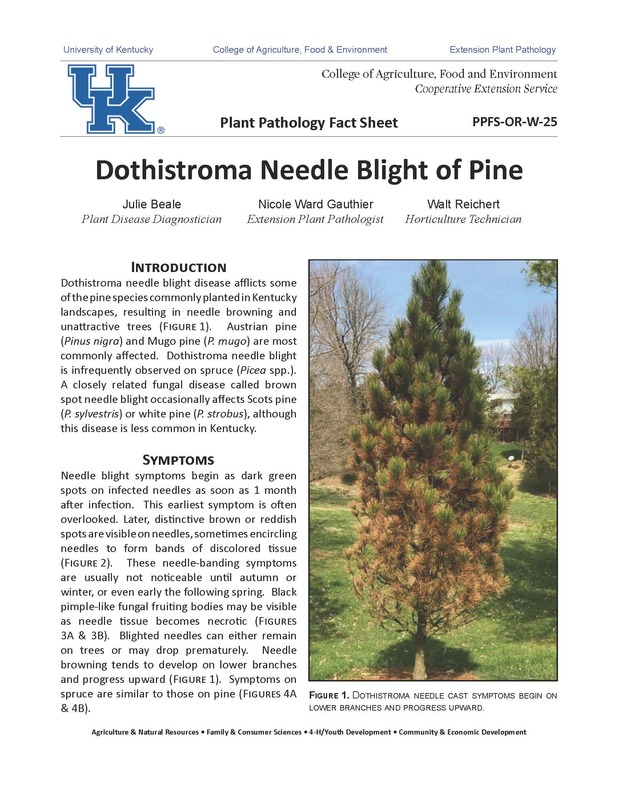 Dothistroma Needle Blight of Pine (PPFS-OR-W-25) is available online. For additional publications on ornamental diseases, visit the UK Plant Pathology Extension Publications webpage.